In Australia we call 'flip-flops' - 'thongs.' But I know there's another meaning for that term too which probably wouldn't be fashionable in the garden either. I like wearing flip flops in the garden too, but at our community garden, people are saying they're seeing a lot of snake eggs. Yikes! Snakes! Needless to say... I'm not wearing flip flops anymore! 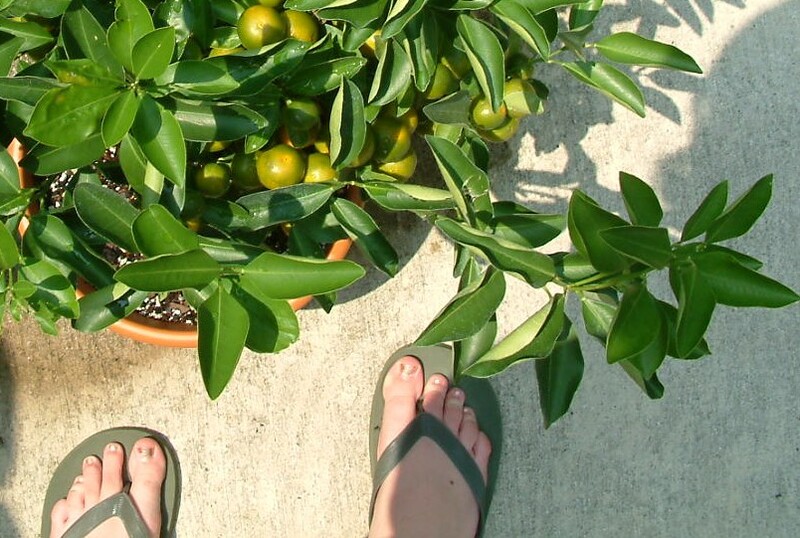 Good thing I don't have fireants in my garden because my Old Navy flipflops are my #1 gardening footwear choice! One drawback: when they get wet, they are darn slippery! I have stepped in MANY ant hills but I'm always barefooted!